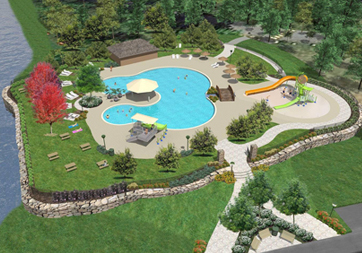 A specialist in concrete projects, EDB Pools is a Quebec leader in mixed material projects and play areas. Whether for a partially outdoor hot tub or cold water waterfall, EDB Pools will construct, in accordance with standards and requests, no matter how elaborate your plans. EDB Pools provides expertise in mixed material projects to help you avoid the premature deterioration of materials.